I don’t like sitting on the side lines. I’m an “ALL IN” or “nothing” kind of girl. I want to be on the team and I want to participate in EVERY game. ….or I want to go home and put on my pajamas. Piece by piece, I devour the play book..over and over… I study until I find gaps. Then I work to fill them…My appetite for dissecting strategy never wanes. Every nugget feeding my passion to learn. I want on the team but my ego isn’t comfortable being center stage. In fact, I’m a bit skittish to be the pitcher. All eyes focused on his windup. A collective gasp from the stands, releasing only when the ball meets the catcher’s glove. His choice of pitches are constantly questioned by those not wearing a uniform. Their voice loud as it drifts through the stands and onto the diamond. In baseball, there is no possible way to win the game with an inadequate pitcher. If they are having an ‘off‘ night, they get pulled. Often in the middle of the inning, forcing a walk of shame back to the dug out. Not before, however, a seemingly supportive one-on-one with the coach. Backs turned to on lookers, I often wonder what they are saying….How do you publicly tell one of your premiere players it is time to sit down now….. As a player, how do you handle that with grace? It is a tough position to play. I would not sign up for the whole world to witness that. In fact, I’ve spent most of my life avoiding the walk of shame… like the plague…. The catcher is required to wear so much protective equipment, he barely can move. Leg guards, knee savers, a heavily padded leather glove the size of a dinner plate, vision limited by a cage protecting his face. Which is no doubt further limited by the sweat dripping from his brow. They are outfitted for a fight…. Some would say that I rarely back down…they could be right. However, I never go looking for it. No, this position doesn’t sound appealing to me. I’m happiest on first base. It calls my name. First base has a foot hold in the action but also has a bit of distance from the voices in the stands. He doesn’t rest idly waiting for a play. He is in the game, with every swing of the bat. Multitasking is a must, monitoring all of the bases for movement with each and every hit. Thinking instantaneously, maneuvering nimbly and with out hesitation, he eagerly awaits the ball in play. As my cleats hit the clay, I realize I’m also desperate to not miss my opportunity at bat. In the batting cages, I’m perfecting my swing, my stance. 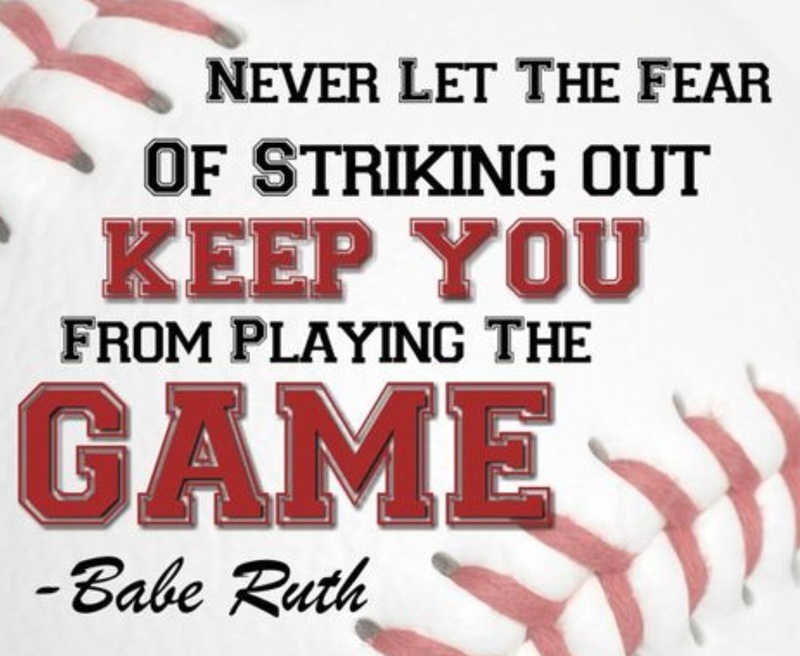 Striking out is not an option. I’m simply not patient enough to wait for the bating order to come around to me again….That is a whole lot of sitting and a whole lot of waiting. I wasn’t made to be a bench warmer. 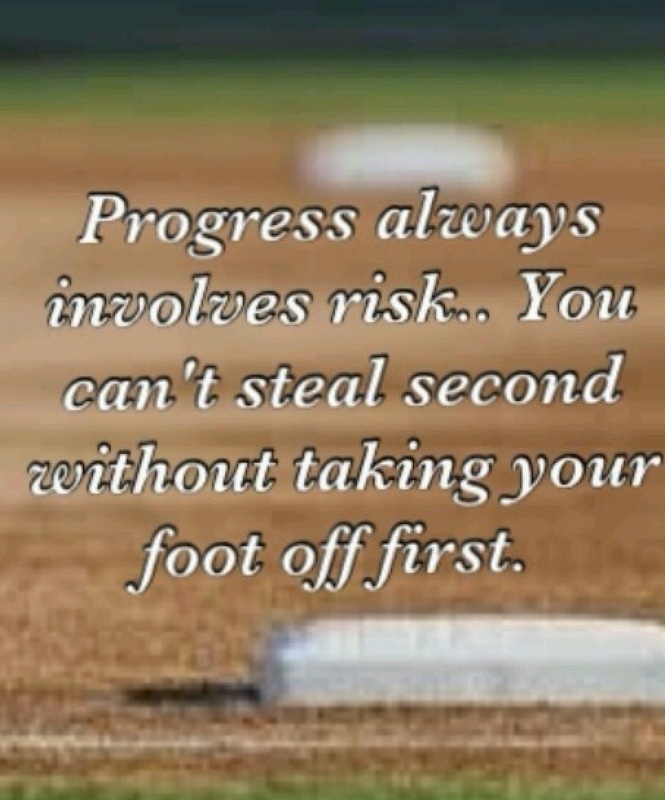 With diligence and the right amount of preparation, I’ll be ready when the pitch rolls down the plate. Hearing my bat kiss the face of the ball, splitting the air like the sharpest of knives, I’ll shoot my hands in the air for the victory lap. When the inning turns over, I’ll resume my spot on first base. Scanning the field every few seconds to analyze the players of game, mindful of the ever changing strategy. When it is quiet, and honesty rises to the surface, I want in the game. Put me in coach, I’m ready to play.